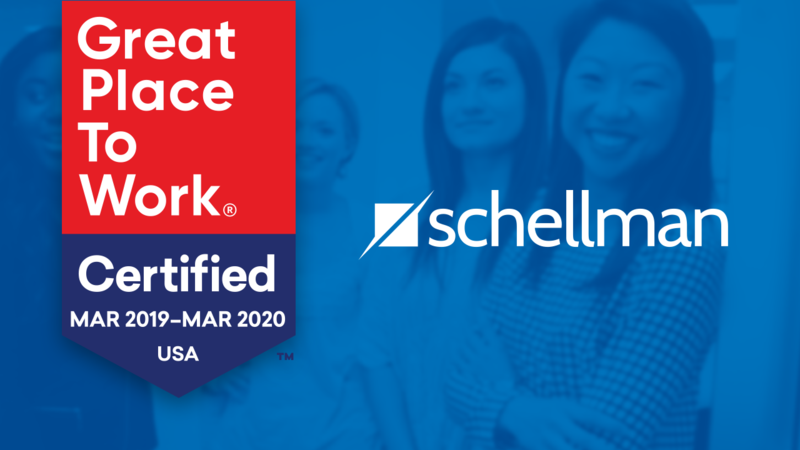 Tampa, FL, April 3, 2019 - Schellman & Company, LLC (Schellman), a leading provider of attestation and compliance services, announced today that it has been officially certified as a Great Place to Work™. Great Place to Work is the global authority on workplace culture, employee experience and the leadership behaviors proven to deliver market-leading revenue and increased innovation. To be considered for certification, Schellman team members responded to anonymous surveys administered by Great Place to Work. Team members provided feedback regarding company culture, challenges, rewards, communication and leadership. The results of the surveys were combined to generate a company-wide Trust Index score, which dictated whether certification was granted. Schellman garnered an astonishing 96% overall rating from its team members. A full summary of Schellman’s Great Place to Work™ certification can be found here. Schellman & Company, LLC is a “Top 100” CPA firm that specializes in System and Organization Controls (SOC) examinations, as well as ISO, PCI, HITRUST, FedRAMP, privacy, threat & vulnerability security services, and emerging technology compliance services.